A legal document known as a power of attorney can enable a trusted family member, friend, or advisor to make decisions on your behalf, and that can safeguard your interests if you are incapacitated or want to delegate particular responsibilities. But in the wrong hands or with inadequate guidance, a power of attorney may be ripe for abuse. It’s important to understand what’s at stake and take steps to protect yourself. In its simplest form, a power of attorney gives another individual the authority to act on your behalf. As the person conferring the power of attorney, you’re referred to as the “principal,” while the person who is appointed to act for you is called the “agent,” or “attorney in fact.” Your power of attorney could be broad, giving your agent control over all of your assets. Or you could limit its scope, restricting the agent to a particular task such as selling your home or other real estate. A durable power of attorney, the most common type, remains in effect indefinitely during your lifetime, even if you’re incapacitated, while a non-durable power of attorney is typically used for a specific purpose. A “springing” power of attorney, which is not recognized by all states, can be triggered by a specified future event—an illness or disability, for example. The main danger in creating a power of attorney is that your agent will abuse—sometimes unintentionally—the authority you’ve delegated. An agent might exceed his authority, for example, by giving unsanctioned gifts of property. Or the agent could be guilty of intentional “self-dealing”—buying a personal car, say, instead of using funds to pay for the principal’s health care. 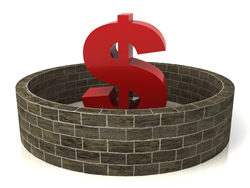 In what may be the subtlest form of abuse, an agent might act within his authority but take an action that undermines the principal’s objectives—say, by making a gift that exceeds the annual gift tax exclusion and affects the principal’s estate plan. The consequences of abuse can be devastating. Consider an elderly widow, suffering from Alzheimer’s, who enters a nursing home. She has given a power of attorney to a cousin, who has transferred the woman’s $100,000 savings to his own account. Whether he thought he was helping her qualify for Medicaid, by reducing her assets, or he just walked away with her money, she would be left unable to pay for her care but also barred from Medicaid, which doesn’t recognize “impoverishment” resulting from such transfers. 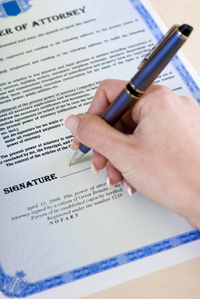 In some cases, problems may stem from the power of attorney document itself. If the language isn’t clear, the agent may inadvertently exceed the intended limits of his responsibility. Other times, a principal may be tricked by an opportunistic relative into relinquishing control or the document could be executed improperly and not be accepted by financial institutions. How can you enjoy the benefits of a power of attorney without putting your financial well being at risk? These suggestions could help. 1. Get it right from the start. Have the document drafted by an attorney experienced in estate planning, and then discuss the details with everyone who might be affected. If there are questions or objections, the attorney can address them in the final document. 2. Consider limiting the powers in the document to a specific few. While a broad power of attorney may be advisable in some situations, a narrower scope, with detailed explanations of what the agent can and cannot do, could reduce chances of abuse. 3. Use a professional you trust as the agent. There are clear benefits to working with someone who is experienced and is bound by a profession’s standard of ethics. Another option is to use co-agents—for example, pairing an adult child with a professional—although this can be burdensome unless responsibilities and procedures are clearly defined. And if the estate is large enough to separate some assets into a trust, a corporate trustee could be best. It’s also important to have at least one successor agent in case there’s a problem with the primary agent. 4. Require regular reports to a third party. Having your agent provide accounting statements to a third party such as an attorney or a CPA creates a system of checks and balances that could prevent or uncover irregularities. 5. Coordinate the power of attorney with other aspects of your estate plan. Handled properly, a power of attorney can be an essential estate planning tool, and it should be reviewed periodically to make sure it reflects your current wishes. We can work with your lawyer and other advisors to make sure all of your interests are being served.